Whole grains have been considered the “staff of life” throughout the world since the beginning of time. Today, however, because of the disease and obesity causing reputation of the overly processed and highly denatured grain (carbohydrates) products offered on conventional grocery shelves, even real whole grains are considered taboo. The remarkable health improvements achieved when commercially processed breads and grain products are eliminated from the diet, encourages concerned, health- conscious people to throw the “baby (real whole grains) out with the bathwater (commercially processed and usually heavily sweetened bread products)”. The truth, however, is that real whole grains and bread made from freshly milled whole grain flour is and will continue to be the most nutrient dense foods God has given us. 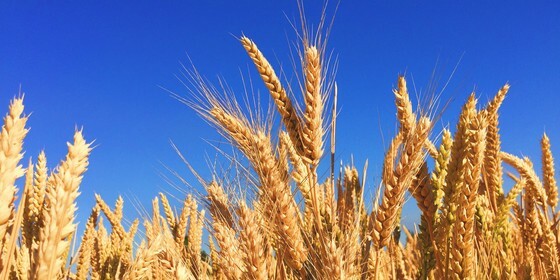 In Genesis 1:29 God said, “Behold, I have given every plant yielding seed that is on the surface of the entire earth, and every tree which has fruit yielding seed; it shall be food for you.” Grains (seeds) have more nutrients, ounce for ounce and pound for pound, than any other food, including fruits and vegetables. For example, one study done at Cornell University found that corn had more antioxidant activity than any other grain or vegetable and twice that of apples. (Corn will be one of the first grains we will highlight this month. But this is just one study. Decades of studies continually prove that those who eat the most whole grains have a much lower incidence of cancer, heart disease, diabetes, stroke and obesity. I’m often asked which grain is the most nutritious, but that is like asking which fruit or vegetable is the most nutritious. While most grains, beans and seeds share a basic nutritional profile, they also have unique features, flavors and nutrients that set them apart. It is important to include a variety of grains in your diet to take advantage of the broad spectrum of nutrients they offer, as well as the variety of flavorful dishes and baked goods that can be enjoyed. Part of the joy of cooking and baking is in the learning and experimenting. We hope you will join with us this month as we celebrate the goodness of whole grains. Each week we will be highlighting specific grains, offering specials and delicious recipes for you to try and enjoy. So stop buy our store or shop on line to get the grain special of the week. Be sure to join Sue at the Bread Beckers on Thursday September 13, 2018 at 10 am for our Going with the Grains cooking class. Sue will be highlighting barley, oats, rice, millet, corn and of course wheat. Menu includes, Orange Cinnamon Amaranth Pancakes, Haitian Oatmeal, Lemon infused Barley with Roasted Lemon Chicken and Cauliflower, Millet “Mac and Cheese”, Millet Spinach Pie, Barley and Turkey Chile over Savory Corn Waffles and last but not least, Rice Pudding with Strawberry and Nectarine Compote. LOCAL CUSTOMERS – we will be offering specials each week through our FiveStars customer loyalty program. If you have not yet joined, click here.